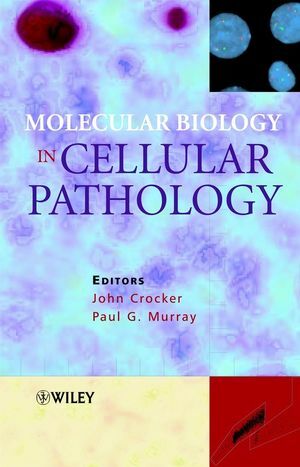 John Crocker is the editor of Molecular Biology in Cellular Pathology, published by Wiley. Paul G. Murray is the editor of Molecular Biology in Cellular Pathology, published by Wiley. Preface to Molecular Biology in Histopathology. Chapter 1. Blotting Techniques: Methodology and Applications (Fiona Watson and C. Simon Herrington). Chapter 2. In-situ Hybridisation in Histopathology (Gerald Niedobitek and Hermann Herbst). 2.6 Increasing the sensitivity of ISH. 2.7 What we do in our laboratories. 2.8 Applications of ISH: examples. Chapter 3. DNA Flow Cytometry (M. G. Ormerod). 3.3 Dye used for DNA analysis. 3.4 Sample preparation for DNA analysis. 3.5 Analysis of the DNA histogram. 3.7 Computer analysis of the DNA histogram. Chapter 4. Interphase Cytogenetics (Sara A. Dyer and Jonathan J. Waters). Chapter 5. Oncogenes (Fiona Macdonald). 5.2 Identification of the oncogenes. 5.3 Functions of the oncogenes. 5.4 Mechanism of oncogene activation. 5.5 Oncogenes in colorectal cancer. 5.6 Oncogenes in breast cancer. 5.7 Oncogenes in lung cancer. 5.8 Oncogenes in haematological malignancies. Chapter 6. Molecular and Immunological Aspects of Cell Proliferation (Karl Baumforth and John Crocker). 6.1 The cell cycle and its importance in clinical pathology. 6.2 Molecular control of the cell cycle. 6.4 The cell cycle and cancer. 6.5 Immunocytochemical markers of proliferating cells. Chapter 7. Interphase Nucleolar Organiser Regions in Tumour Pathology (Massimo Derenzini, et al.). 7.5 AgNORs as a parameter of the level of cell proliferation. 7.6 Application of the AgNOR technique to tumour pathology. 7.7 What future for AGNORs in tumour pathology. Chapter 8. Apoptosis and Cell Senescence (Lee B. Jordan and David J. Harrison). Chapte 9. The Polymerase Chain Reaction (Timothy Diss). 9.6 DNA and RNA extraction. 9.7 Correlation of the PCR with morphology. Chapter 10. Laser Capture Microdissection: Techniques and Applications in the Molecular Analysis of the Cancer Cell (Amanda Dutton, et al.). 10.2 The principle of LCM. 10.4 Advantages and disadvantages of LCM. Chapter 11. The In-situ Polymerase Chain Reaction (John J. O'Leary, et al.). 11.2 Overview of the methodology. 11.4 In-cell amplification of DNA. 11.5 In-cell amplification of RNA. Chapter 12. TaqMan® Technology and Real-Time Polymerase Chain Reaction (John J. O'Leary, et al.). 12.3 TaqMan(r) probe and chemistry. Chapter 13. Gene Expression Analysis Using Microarrays (Sophie E. Wildsmith and Fiona J. Spence). 13.4 Recent examples of microarray applications. Chapter 14. Comparative Genomic Hybridisation in Pathology (Marjan M. Weiss, et al.). 14.6 Screening for chromosomal abnormalities in fetal and neofetal genomes. Chapter 15. DNA Sequencing and the Human Genome Project (Philip Bennett). 15.2 DNA sequencing: the basics. 15.3 Applications of DNA sequencing. 15.4 The Human Genome Project. Chapter 16. Monoclonal Antibodies: The Generation and Application of 'Tools of the Trade' Within Biomedical Science (Paul N. Nelson, et al.). Chapter 17. Proteomics (Kathryn Lilley, et al.). 17.3 Stages in proteome analysis.